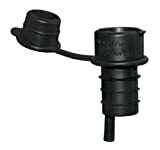 i Click 'view all' to instantly compare this ok deal with offers on other top wine bottle stoppers. Corki Wine and Beverage Bottle Stopper and Preserver by True is currently selling at $6.65, which is its normal price. It has a lowest price of $6.65 and is selling within its usual range. Price volatility is 0.15% (meaning it does not change often), so you might have to wait a while for the price to drop. Until then this is a recommended 'ok deal'. The current deal is also the best price on this item over the last month. Compare the current price, savings (in dollars & percent) and Buy Ratings for the top Wine Bottle Stoppers that are closely related to Corki Wine and Beverage Bottle Stopper and Preserver by True. Here is how Corki Wine and Beverage Bottle Stopper and Preserver by True compares with other leading Wine Bottle Stoppers. If there's one trick the Corky can do, it's keeping your bottle fresh for the next round. So keep yourself out of the dog house and let the Corky keep your best wines on a short leash. FeaturesAIR-TIGHT SEAL to prolong and preserve opened bottles of wineEASE OF USE and functional. 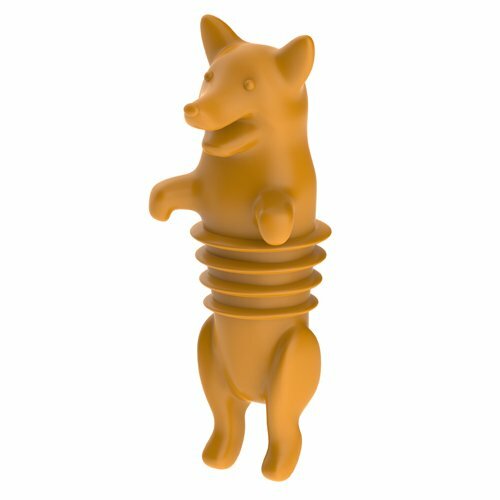 The queen's Corgis would approveMADE OF SILICONE food safe and dishwasher safe so cleanup is a breeze.FITS ALL STANDARD BOTTLES a must have for any wine drinking dog lover.